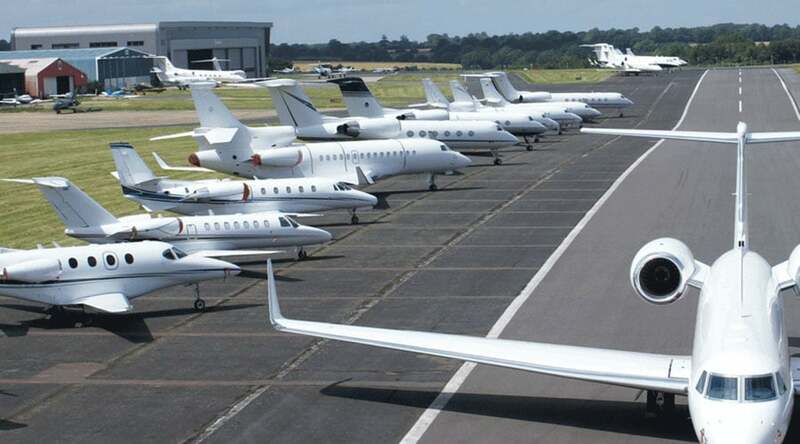 With close connections to Canary Wharf and the city central, London Biggin Hill airport is the perfect choice for business flights as well as personal trips for London residents. Starr Luxury Cars offer Biggin Hill Airport luxury transfers for those needing to commute to and from the airport either regularly or as a one-off journey, allowing you to continue your travel in exquisite style and comfort. We chauffeur a range of clients to and from airports, allowing us to ensure we accommodate you and your unique needs whilst retaining a maximum level of professionalism and discretion. Our first-class Biggin Hill Airport chauffeur service is ideal for both personal and business clients travelling to or from the airport either individually, as a couple or as a larger group. Our team of executive chauffeurs have been carefully selected due to their experience and professionalism, ensuring you have the most relaxing journey possible. To aid this, your personal chauffeur will handle your luggage both on the way to and from Biggin Hill Airport, allowing you to take the time to get comfortable in the prestige hire car of your choice. Whether you’re heading straight to a meeting, a hotel or returning home after a tiring trip, our chauffeurs will handle the logistics for you whilst you work or relax in a truly sumptuous environment. With ample experience in providing luxury airport transfers to clients across the UK, we understand that your flights may be subject to alterations. In order to accommodate, we keep up to date with your travel timings, ensuring that your chauffeur is ready to meet you at Biggin Hill Airport, regardless of the time you arrive. Not only will pre-booking your Biggin Hill chauffeur with Starr Luxury Cars allow you to avoid further waiting times and a delayed journey, we will also transport you into London, the surrounding areas or across the UK promptly and efficiently, allowing for a peaceful yet quick journey. We offer further assistance to those who need it with our luxury Biggin Hill Airport assistance and hostess service. One of our highly professional hostesses can stay with you during the wait for your flight, handling your luggage and organisation and helping to keep you calm until you’re ready to leave. We hold an extensive fleet of executive hire cars, perfect for luxury airport transfers. Our most popular models include Mercedes and Maybach and we also offer Bentley or Rolls-Royce chauffeurs for those looking for something a little more special. Whether you’re looking to treat a client to five-star travel or need a luxury car, practical enough for a large group or extensive luggage, we have the best range to choose from in the UK. Each of our cars is meticulously maintained and offer all the modern conveniences needed to make your journey easier. However, we also offer a range of luxurious extras, including child car seats, champagne and bodyguard services to accommodate for an array of unique passengers. Complete our online booking form for an up-front quote or speak to our knowledgeable and friendly team for further information or to make special requests.